The day didn't start off the best. Nathan Fillion called in sick to the convention, which eliminated much of my plans for the day. It also ruined a special day I had planned for a good friend who once waited in line a long time to get me the autograph of my favorite Firefly character's actor at a Con I couldn't attend and I planned to return the favor. 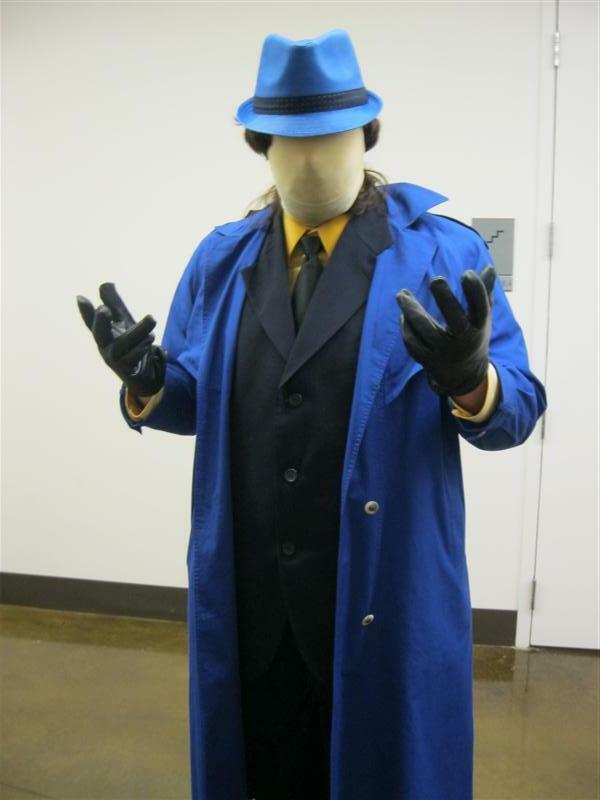 Still, once I took off my Dresden Duster (I lasted about five minutes wearing it in the line outside. Texas heat is worse when it's humid.) and got into the building, things improved. 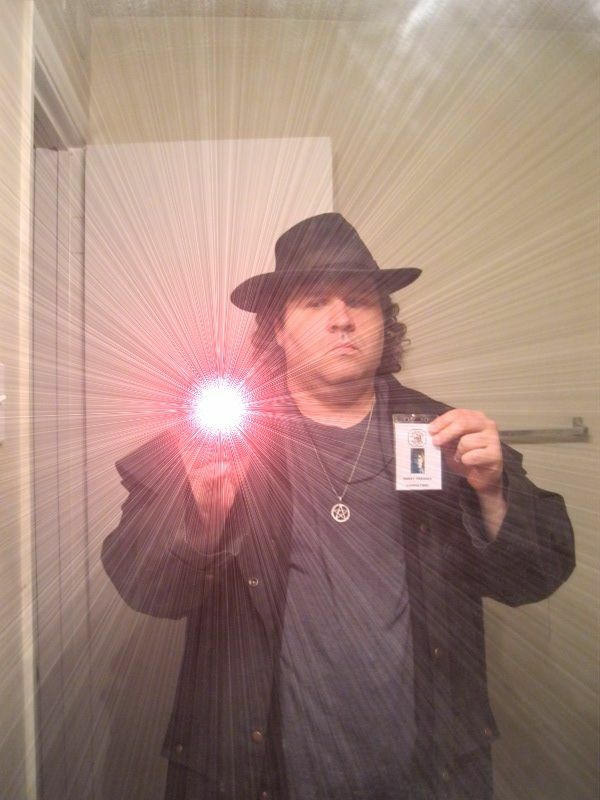 My name is Harry Dresden. Conjure at your own risk. I got through half my autograph list for the day - all the comics I wanted to sign. I had planned to get both Kevin Conroy and Adam Baldwin (the voices of Batman and Green Lantern: Hal Jordan respectively) to sign my copy of Injustice: Gods Among Us. But when I tried going to both their tables, I managed to catch them while they were away doing a panel or a photo op or taking a break. Oh well - something to do on Sunday. A pair of Samuses. Samusi? 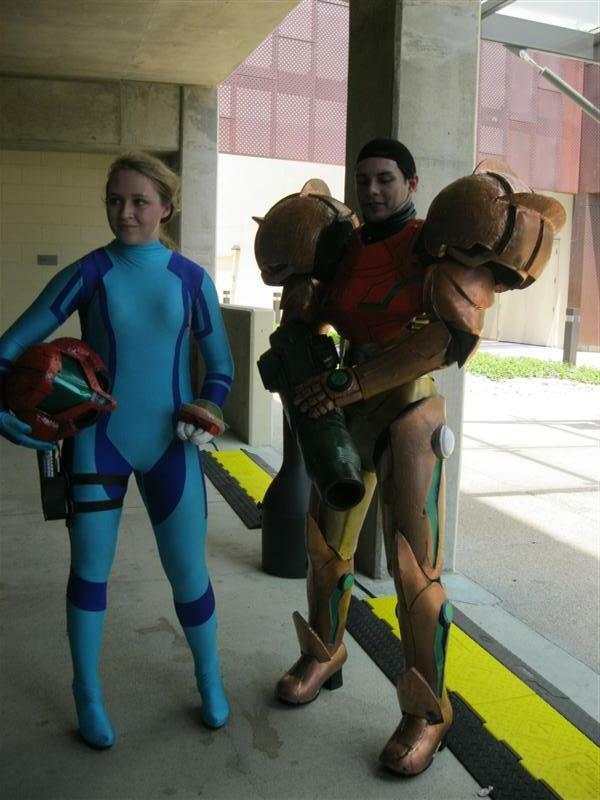 Whatever you call the plural of Samus, there's two of them! 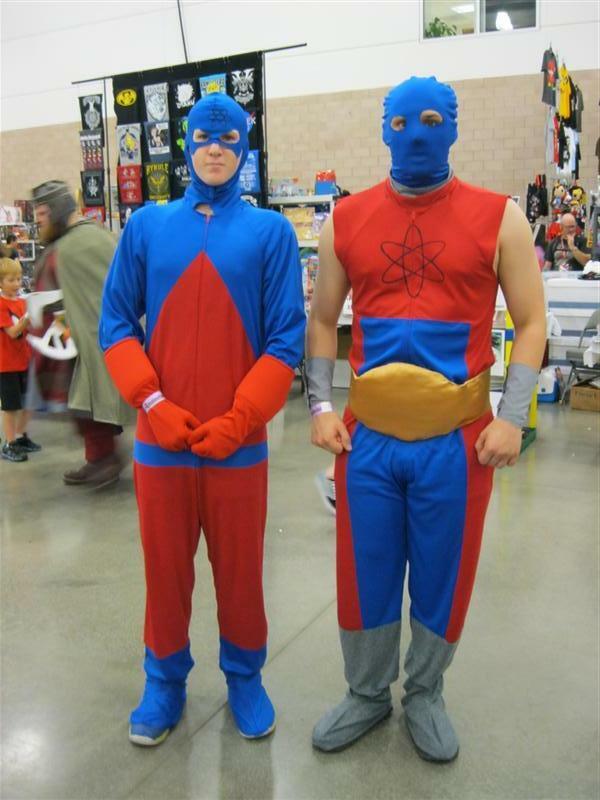 The Atom and Atom Smasher. 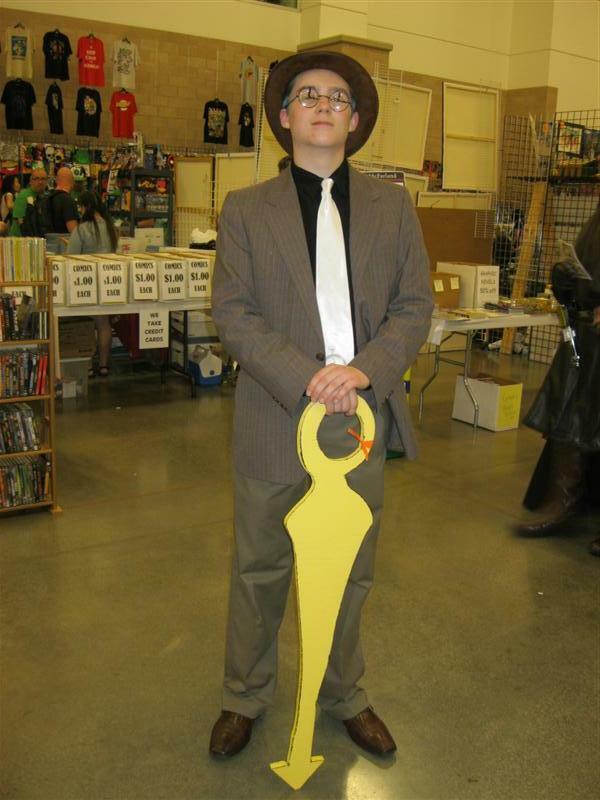 The Clock King. I was reportedly the 7th person all day to recognize him. Codex from The Guild. She was with The Clock King. Reportedly, I was the 3rd person to recognize her. 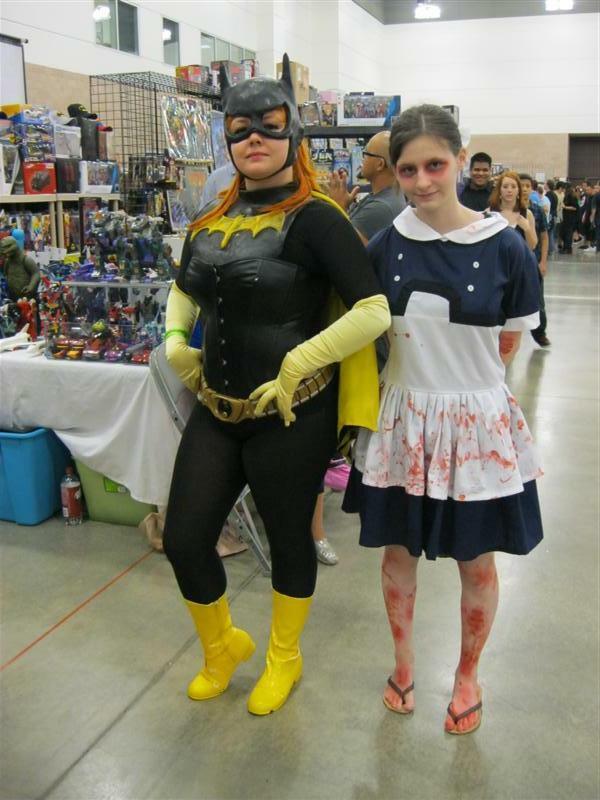 Batgirl and a Little Sister from Bioshock. I thought she was American McGee's Alice. She was quite understanding about the confusion, thankfully. 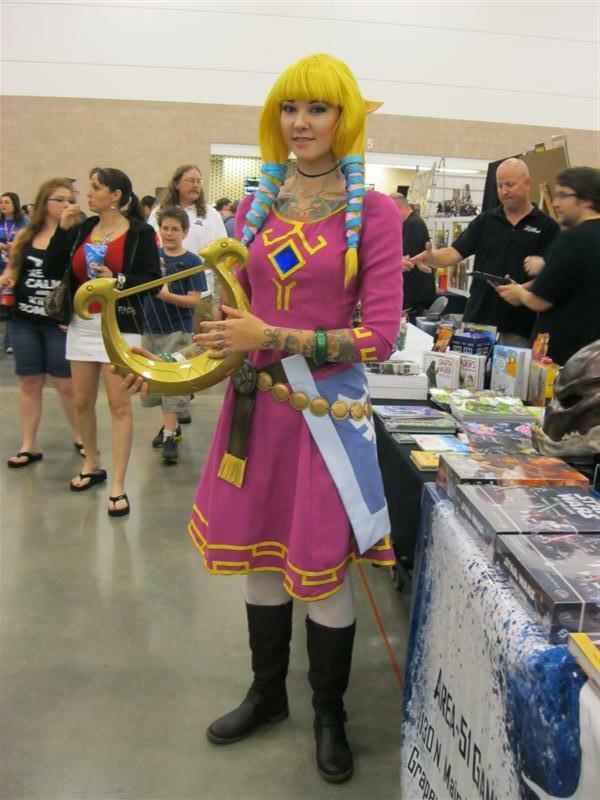 Princess Zelda from Glitzy Geek Girl. 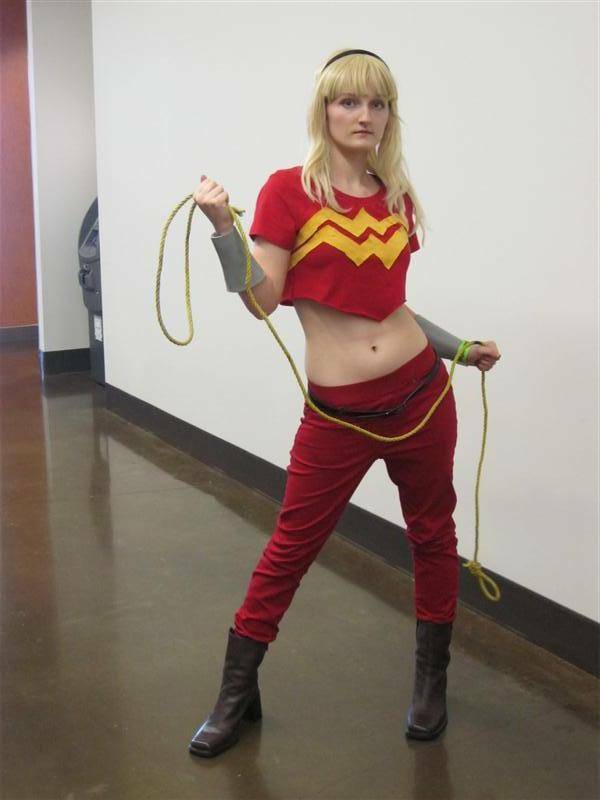 Wonder Girl - Cassandra Sandsmark. Who is he? That's The Question! 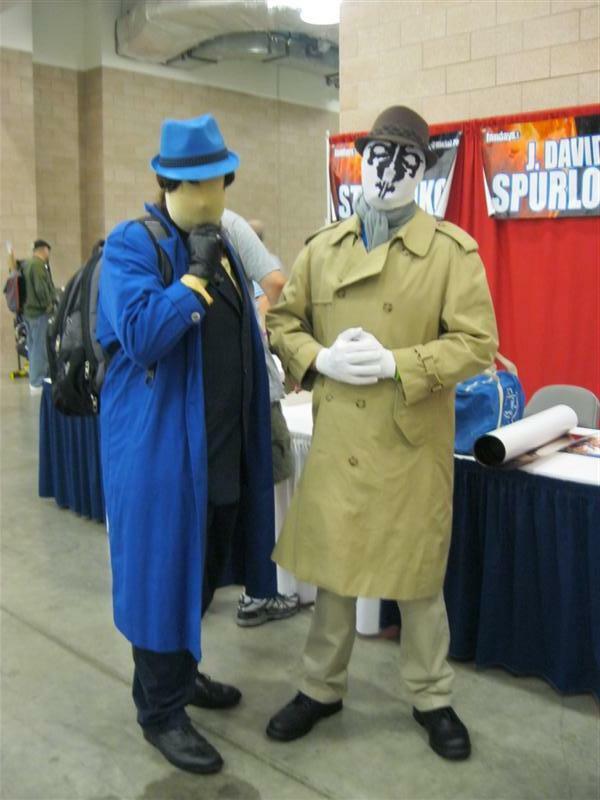 The Question and Rorschach. Classic Coca Cola and New Coke.